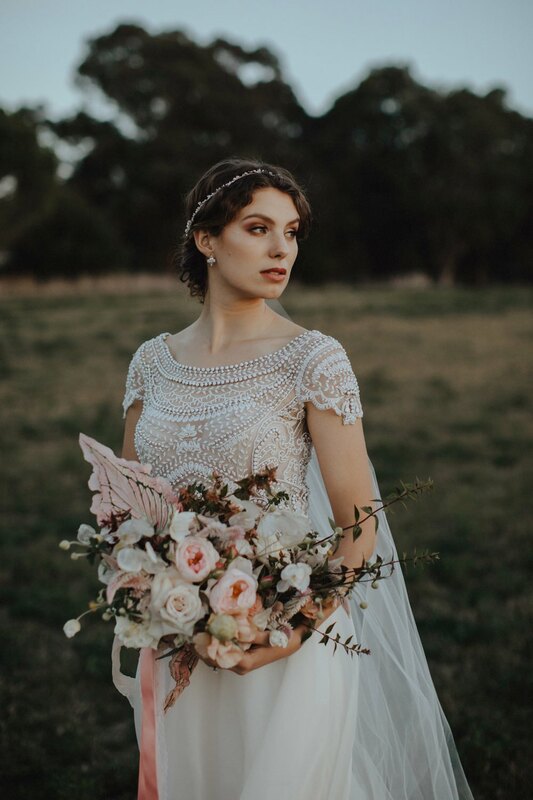 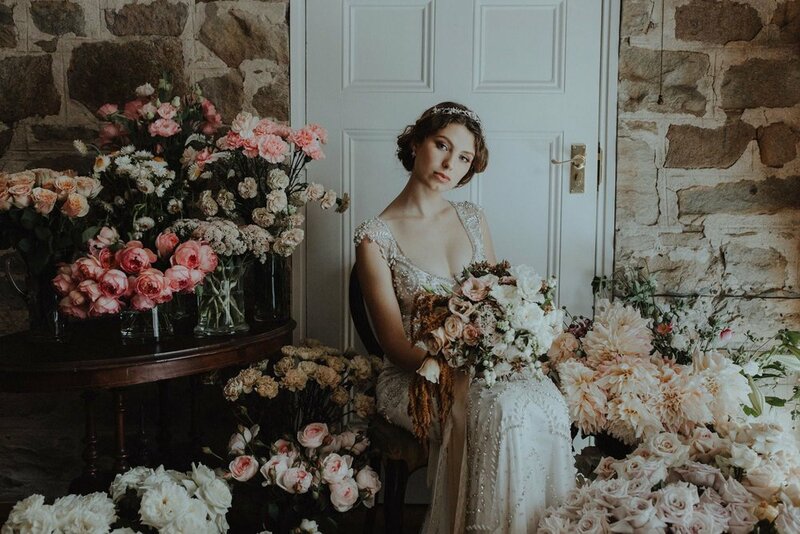 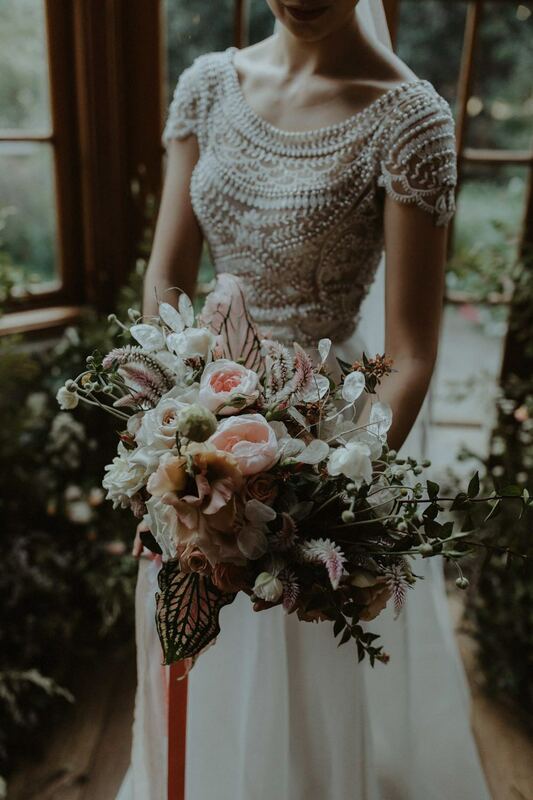 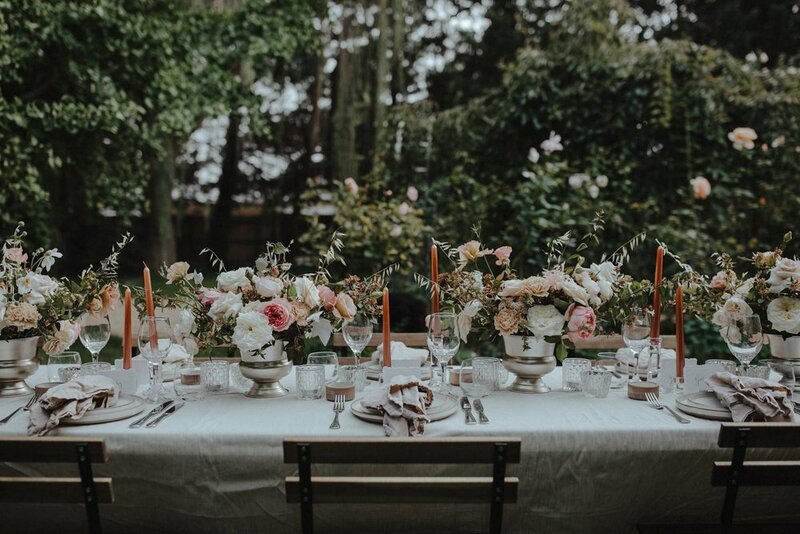 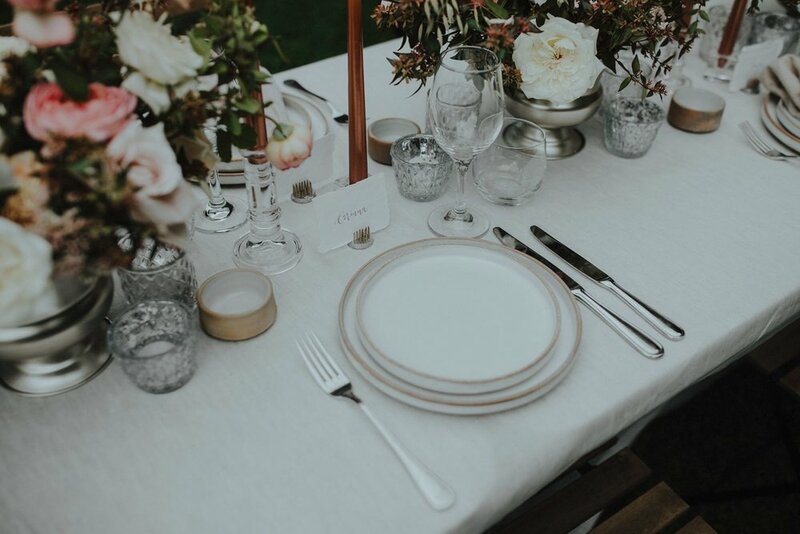 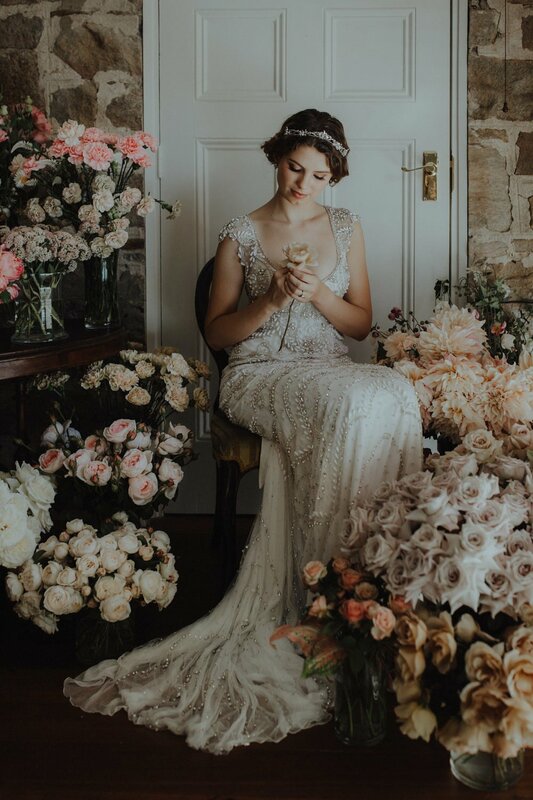 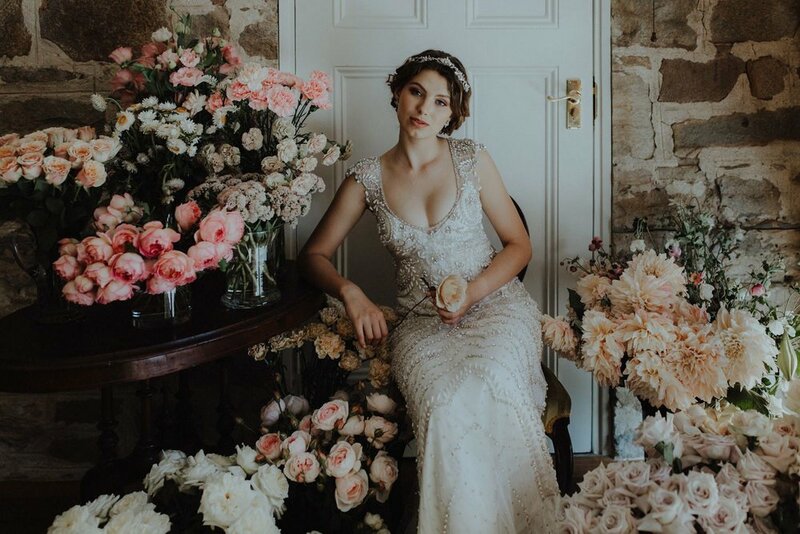 This styled shoot was dreamed up by the talented lady behind Peony N' Pearl - Fionna Tamin, who was inspired by the colours and textures she could achieve through mixing fresh and dried flowers. 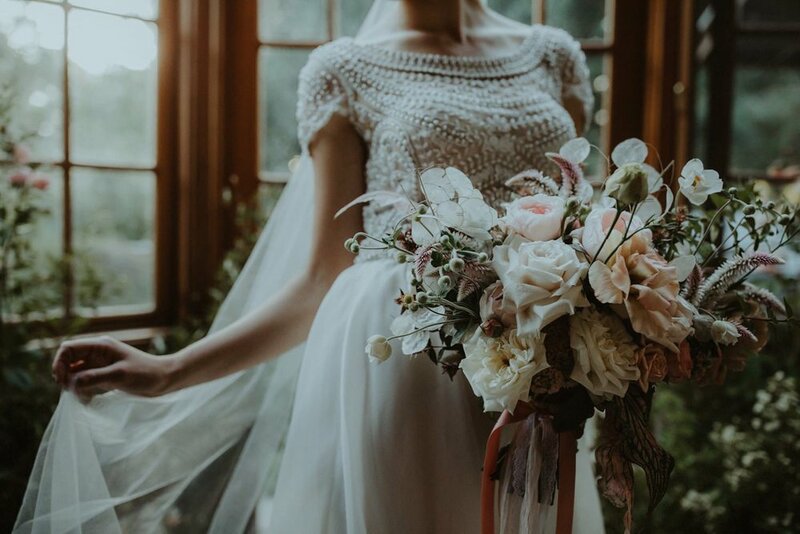 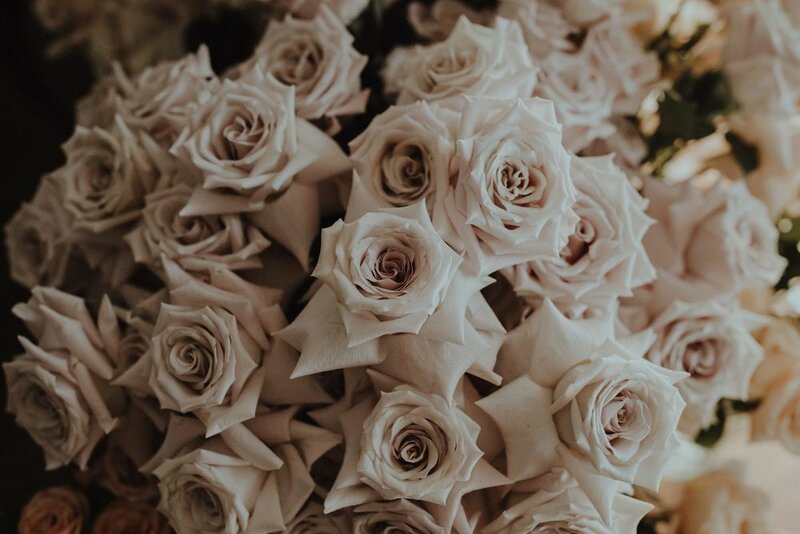 With a soft romantic moodboard in mind, she pulled together a team of local creatives that could help bring her vision to life. 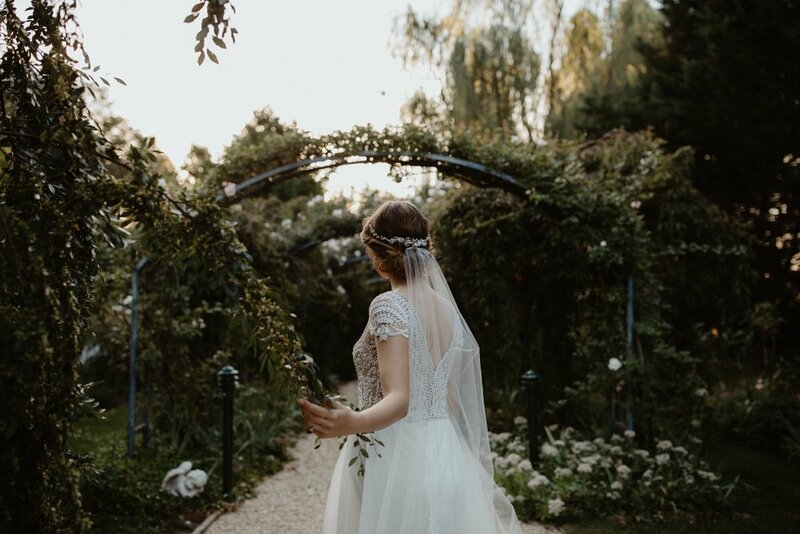 The Old Stone House, a small boutique heritage bed and breakfast and wedding venue in Bungendore, NSW was the perfect location with it's charming vintage interiors and secret garden-esque grounds. 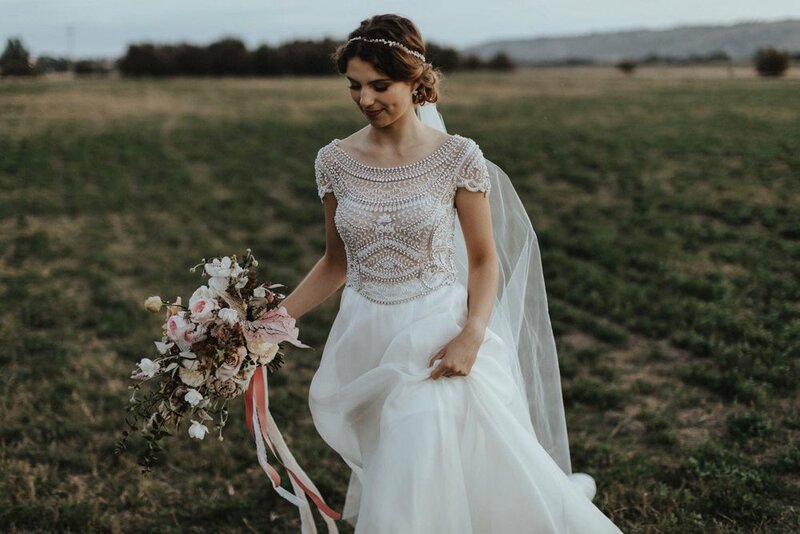 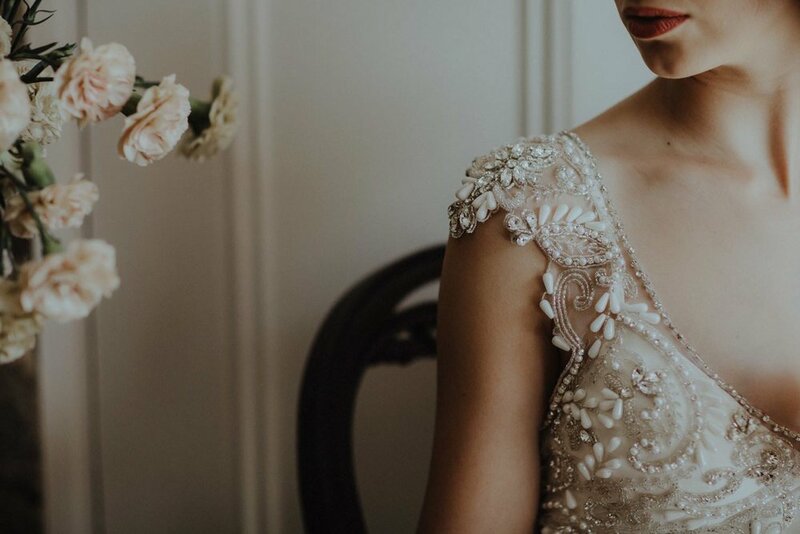 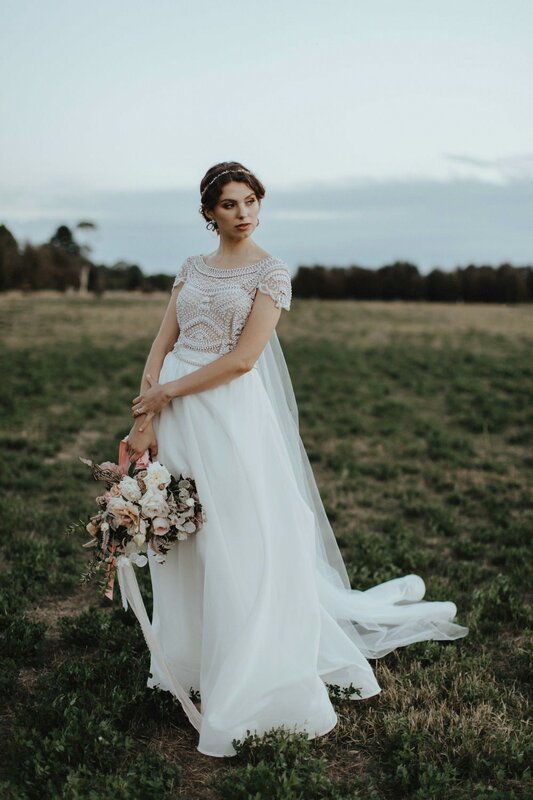 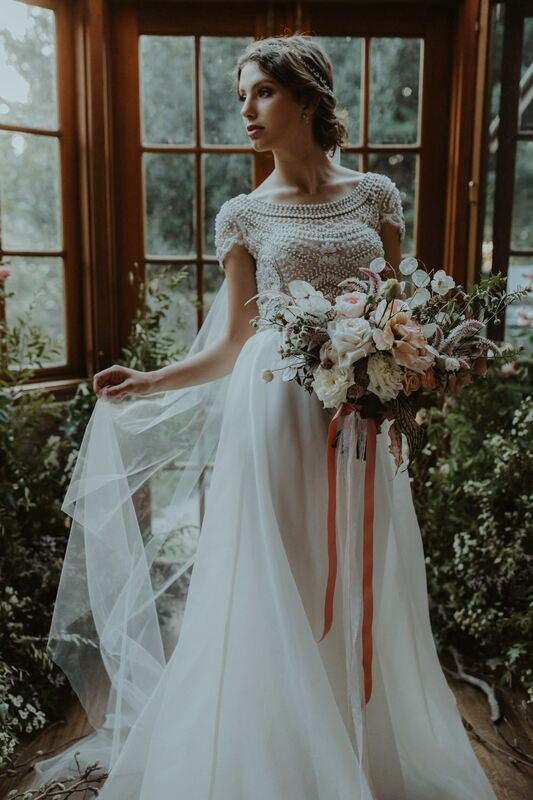 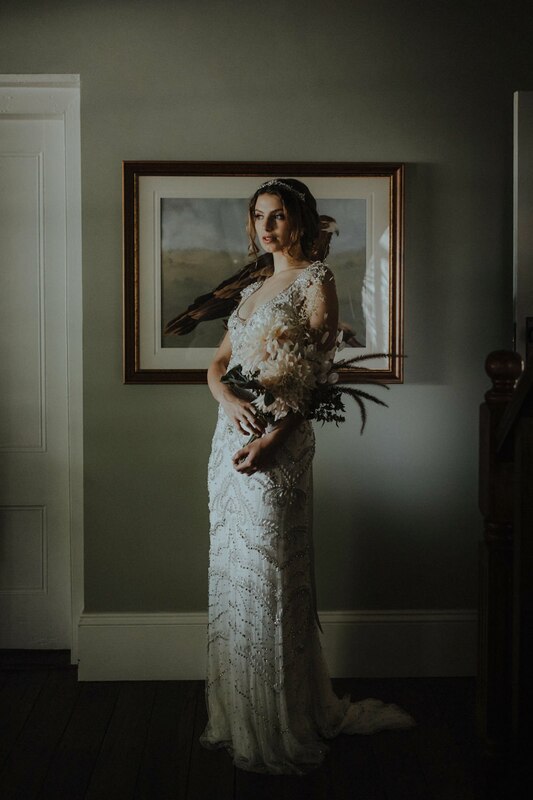 Gowns from Anna Campbell Bridal and accessories by Tania Maras complimented the romantic and vintage vibes perfectly.